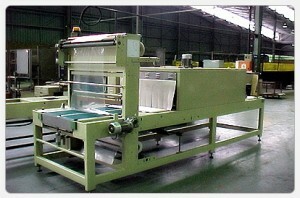 Trays are fed onto the rubberised belt infeed conveyor of the sleeve wrapper. 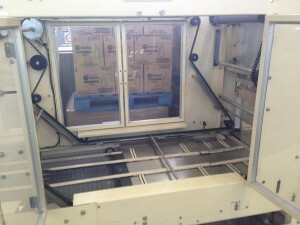 The infeed conveyor transfers the packs through the curtain of shrink film and onto the outfeed belt situated on the other side of the seal bar. 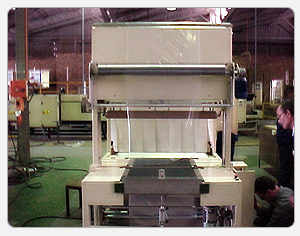 This operation automatically determines the length of film needed to sleeve wrap the product. The sealbar is then energized initiating the seal cycle. 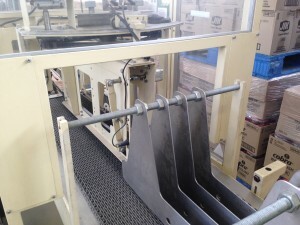 On completion of the sealing cycle, the outfeed conveyor is activated and drives the trays onto the shrink tunnel conveyor where it is passes through the heat chamber and allows the shrink film sleeve to be shrunk tightly arount the pack. The trays finally pass under a high speed cooling fan anddischarges onto a gravity exit roller conveyor. 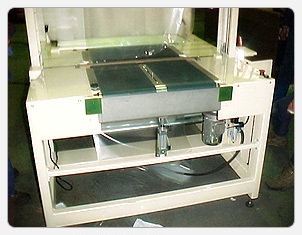 Machine speed is largely dependent on the type of product being run. 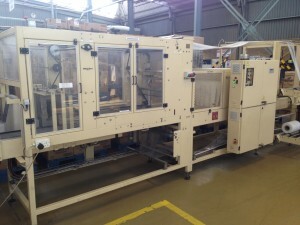 The product is fed form the filler and labeler (if required) and will be regimented into lanes by means of a positive lane divider (depending on product shape) and will fill the lanes and the respective collator assembly selected for the appropriate pack pattern. Sensors will signal that the collator has the correct collation ie. 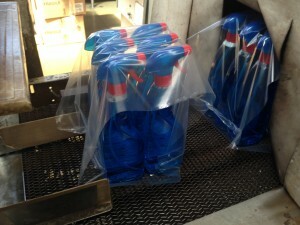 4/6/8/12 pack, and will release the pack into the flightbar pick-up area, where it will be transferred between guide rails, through the sleeve wrapping and sealing station. The seal is automatically activated and as the cycle is repeated. 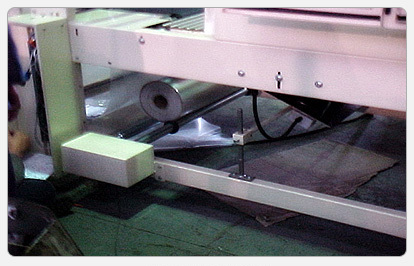 The following pack will discharge the overwrapped packs onto the the shrink tunnel conveyor. 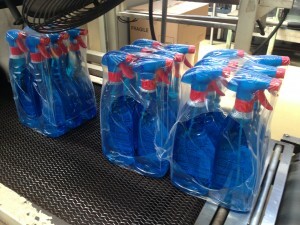 The pack will then pass through the heat chamber where the film would be tightly shrunk around the packs. The packs will then pass under a high speed cooling fan, then onto a gravity exit conveyor where they can be manually palletised. 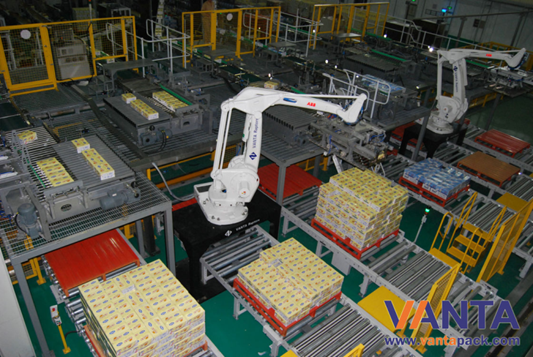 Alternately, an automatic palletiser from VANTAPACK may also be used to completely automate the line.